Renault says there is more to come from its powerunit over the coming races and believes it is possible to get close to 100% by the Canadian Grand Prix. Renault's powerunit started the year with several issues and its customers have struggled to match the Mercedes-powered teams, especially on power-sensitive circuits such as Bahrain and China. It has made progress to allow its teams to run closer to full performance in races, but there is still clearly a deficit to the Mercedes engine oveall. The next two races in Spain and Monaco will not be so power-sensitive, but head of track operations Remi Taffin is not allowing that to distract from the bigger issues. "I would not say optimism [for the change in circuit type], we are still on realism," he said. "It's fair to say that coming into Barcelona or Monaco it's not going to be massively power sensitive, but it is going to be massively energy sensitive. In the race it's always going to be important to have the power unit working right. At least we have three weeks [between the last race in China and Spain] to keep on doing the job, and then maybe ahead of Montreal having something that is very close to 100%. "Overall it is looking promising, but we must not forget that we need the reliability and we are working on that area. 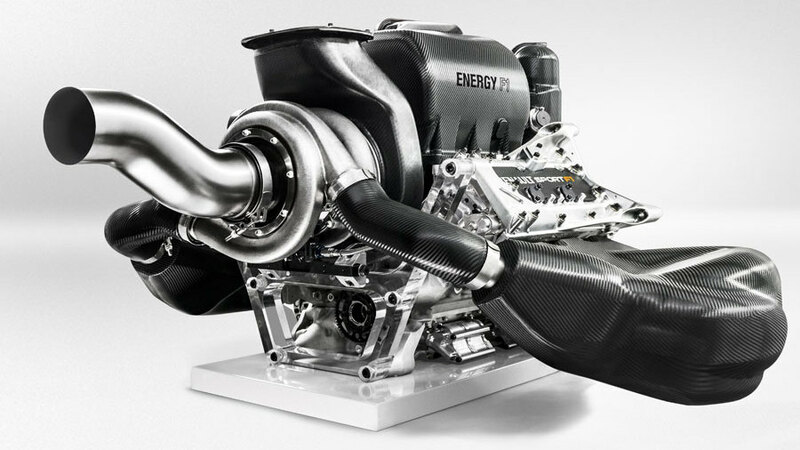 It's obvious that we've been among the engine manufacturers that have introduced most of the new components and it's fair to say we need to focus on reliability to get through all the races. It's not only performance that we need, we need also to finish races." Asked if Renault could match Mercedes at any point this year or if it would have to wait for a more considerable overhaul of engine hardware next winter, Taffin added: "It's very difficult to say, because when we get to the point at which we have the same amount of energy around the lap, it's all about having maximum power. How do you compare power? You go into the games of drag level and so on, but one thing we can say is that Mercedes is quicker down the straights and quicker round the lap, so I presume that they have got a better engine than us. "That must be right, but having said that there is more than the V6 and the turbo and the electrical machine to get the most out of the power unit. We can discuss about oil, we can discuss about fuel, so we still have a good work in progress with Total in terms of fuel. Definitely there is more to come."